Ryoanji is famous for its Zen garden, which is considered to be one of the most notable examples of the dry-landscape style. 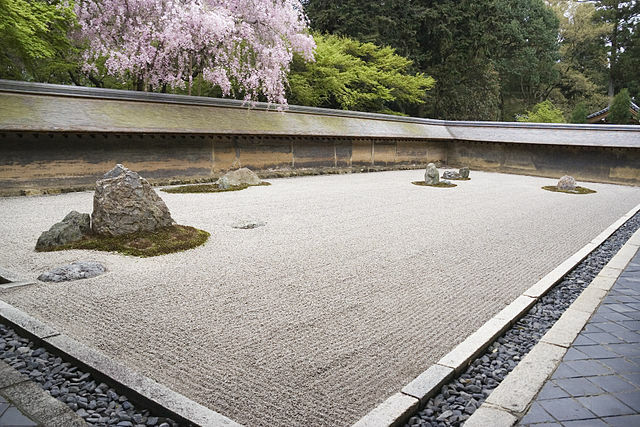 Surrounded by low walls, an austere arrangement of fifteen rocks sits on a bed of white gravel. That's it: no trees, no hills, no ponds, and no trickling water. The only vegetation in the garden is some moss around the stones. The garden is meant to be viewed from a seated position on the veranda of the Hojo, the residence of the abbot of the monastery. The stones are placed so that the entire composition cannot be seen at once from the veranda. ​They are also arranged so that when looking at the garden from any angle "other than from above" only fourteen of the boulders are visible at one time. It is traditionally said that only through attaining enlightenment would one be able to view the fifteenth boulder. 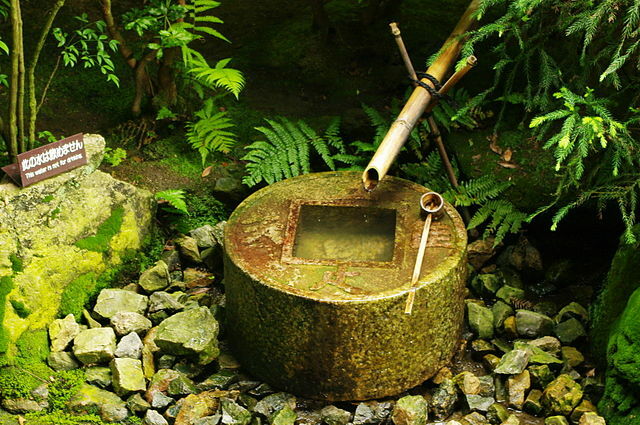 Behind the simple temple that overlooks the rock garden is a stone washbasin called Tsukubai, said to have been contributed by Tokugawa Mitsukuni "prominent feudal lord" in the 17th century. It bears a simple but profound four-character inscription: "I learn only to be contented". There is a fantastic boiled tofu "yudofu" restaurant on the Temple grounds, which you should be able to find by following the route away from the rock garden and towards the exit. It is slightly expensive, but serves delicious, traditional tofu dishes. The rest of the grounds are worth a look too - particularly the large pond. 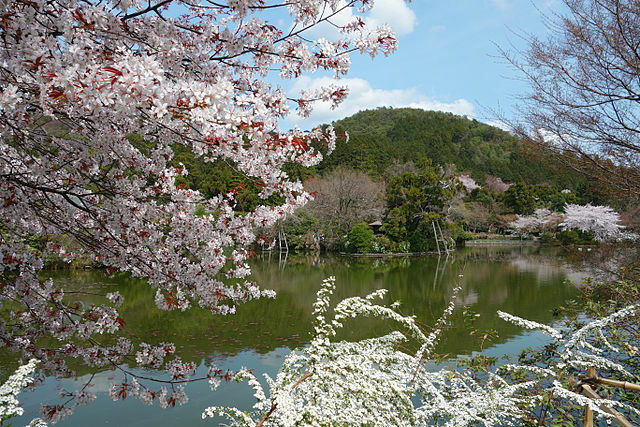 The temple and its gardens are listed as one of the Historic Monuments of Ancient Kyoto, and as a UNESCO World Heritage Site. 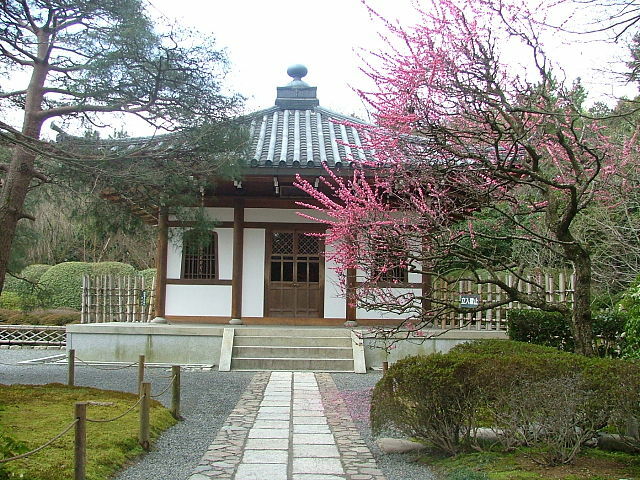 ​Ryoan Temple attracts hundreds of visitors every day. 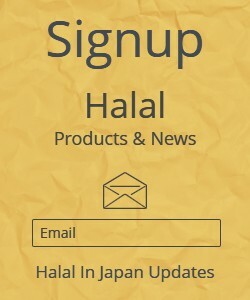 It is best visited as soon as it opens or just before it closes. From Kyoto Station take City Bus number 50 to Ritsumeikan daigaku-mae stop, "takes about 30 minutes". The temple is about 7 minutes’ walk from the bus stop. From Kyoto Station you can also take the JR Bus, which the cost is covered by almost all Japan Rail Passes. There are buses every 15-30 minutes. 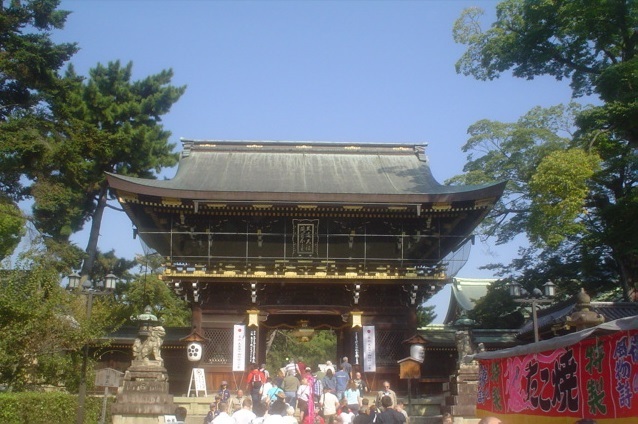 Ryoan-ji, Daitoku-ji, Kinkaku-ji and Ninna-ji Temples are all on Kitaoji-dori, and about 15-30 minutes' walk apart.